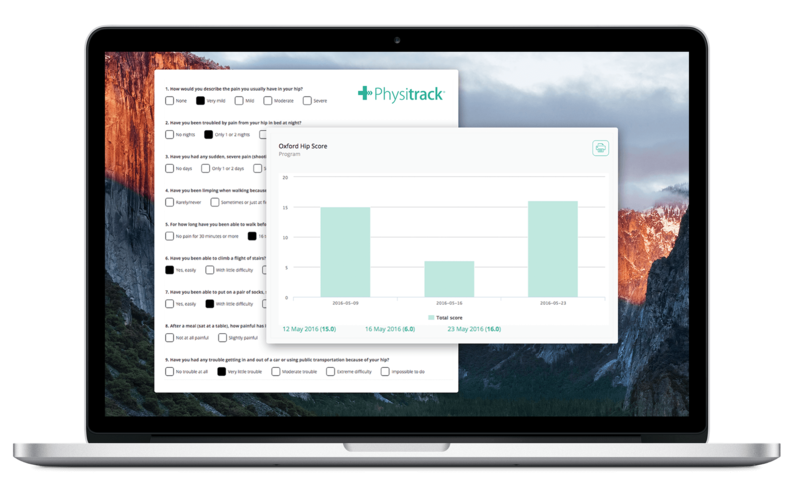 Physitrack is an integrated exercise program we use at The Foot Clinic, to prescribe and to track your exercises. It uses an online library of over 900 clearly narrated exercise videos. This gives you access to clear instructions on how to perform the exercises correctly. Our patients love the ease of use of this app. You can access the videos on your computer, your smartphone or tablet, via the Physitrack app or website. Once you have downloaded them, you can use them and replay them without accessing the internet. The Physitrack exercises are part of your rehabilitation program after an injury. The goal is to get you back on track, and at The Foot Clinic we have often found that compliance can be one of the major hurdles to full recovery. 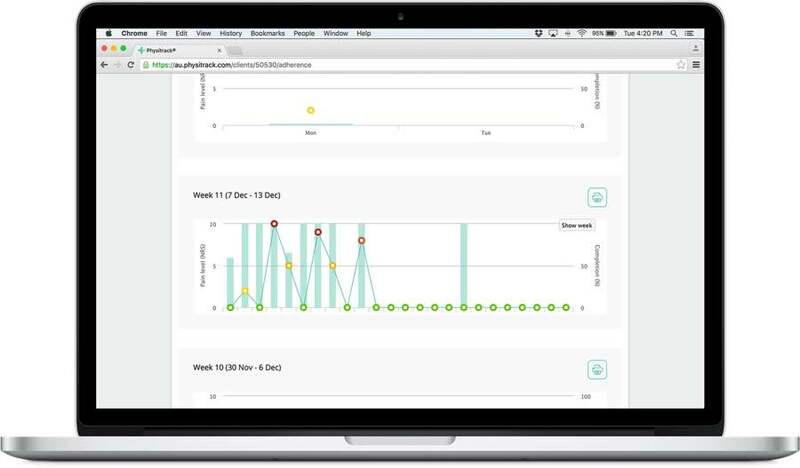 Physitrack keeps you on track with your program, and it will remind you to do your exercises when it’s needed. Competitive athletes find, that the high-frequency feedback on their recovery gives them more confidence. It helps track their progress, and helps them safely return to their sports. Diabetes patients find, that the variety of exercises and gentle reminders, make it easier to avoid fitness setbacks, and to maintain overall health. Knee pain can be debilitating in that it can deeply impact your everyday life. Impeding you from regular sporting activities, walking or moving around freely. A bio-mechanical assessment is one of the first things that your Podiatrist does to examine your foot health. From this assessment your Podiatrist can determine a course of treatment. Physitrack is an Integrated Exercise Program. It combines communication throughout your rehabilitation process, with a diagnosis of your progress. The exercise videos are tailored to help you in your personal situation, whether you are a diabetes patient, a Mum or a Dad, an office worker, or an elite athlete. Out of the total library of exercises, your podiatrist will make a customised selection. This is based on your situation, your diagnosis and your needs and abilities. Even in between consults, you will be able to use the video, and interact with your podiatrist, to keep track of your program. Your podiatrist gets useful information about the recovery of your muscles and tendons, and this helps diagnose the success of your progress at every step along the way. All information you share in the app is protected and encrypted, so your entire program is confidential and secure. All progress is stored in the app, and your podiatrist will help you make changes, so you can recover as good and as fast as possible. When you use Physitrack, your podiatrist will be available to review the outcomes of the activities you have completed. They will also make changes, if exercises aren’t working for you. In between your consultations at the clinic, you can make use of telehealth and video meetings, look at measurements and charts, and follow up on your training even as you are traveling or working remotely. At The Foot Clinic, we have a particular expertise in the bio-mechanics of the human body. Working with you on rehabilitation using Physitrack, means that we are totally committed to building a better body, from the feet up. Whether your target is pre-surgery strengthening, post-surgery recovery or performance improvement, we will always match your program with your abilities. 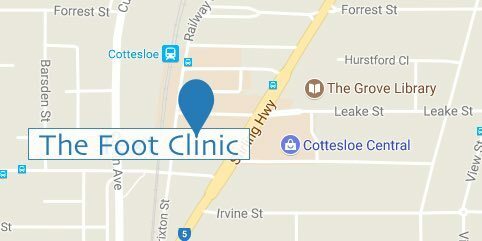 Contact The Foot Clinic and speak to our friendly and experienced podiatrists for your integrated exercise program or any other podiatry needs you may have.